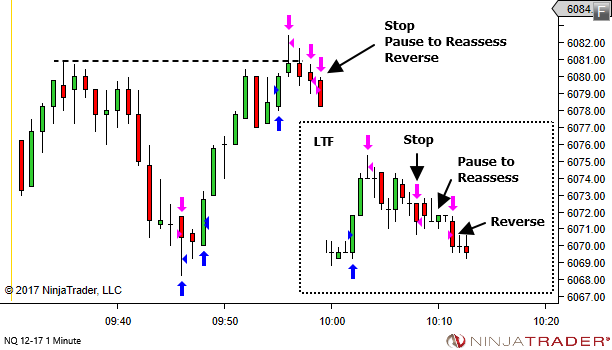 I get asked from time to time whether I ever "stop and reverse" a trade. 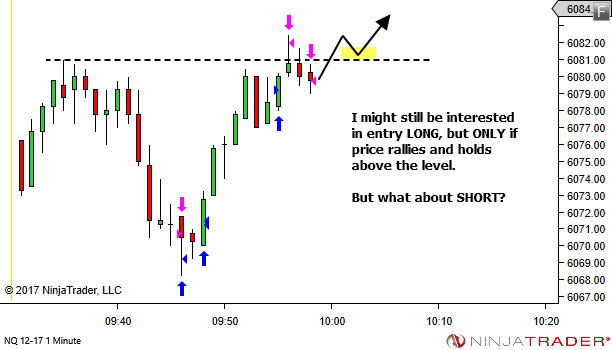 That is, enter SHORT when stopped out of a LONG position. 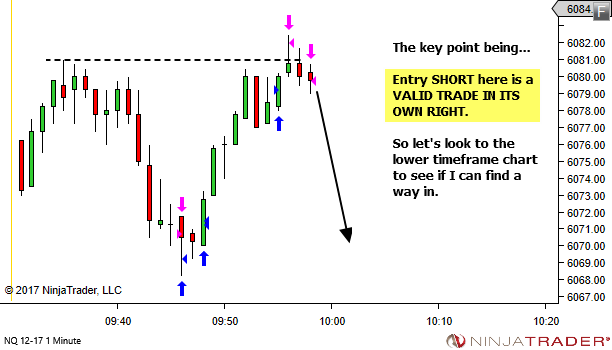 Or enter LONG when stopped out of a SHORT position. The reality is that I don't do that often. 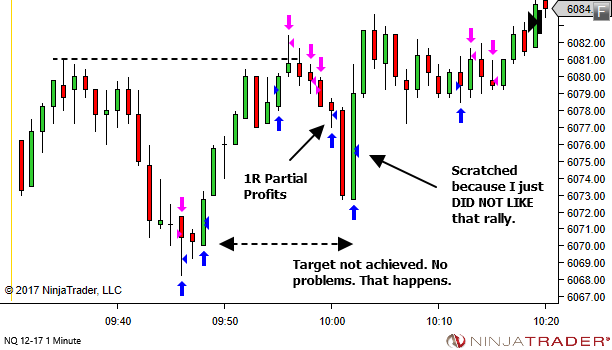 The failure of one trade is usually NOT an indication of potential in the opposite direction. 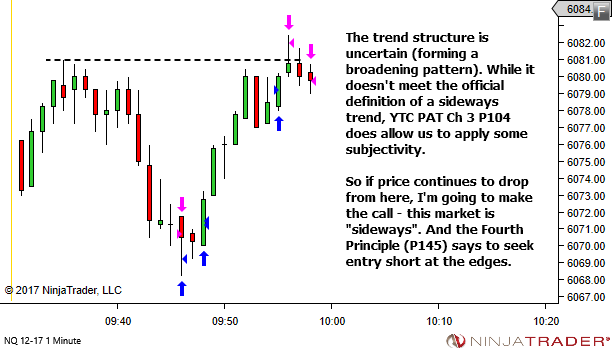 The only time there may be potential is when the CONTEXT suggests the new trade is a valid trade in its own right. So the trade validity has little (or nothing) to do with the failed trade preceding it. For example, if I'm fading a strongly directional market and recognise that I'm wrong, then I might use the stop to reverse to a with-trend trade. 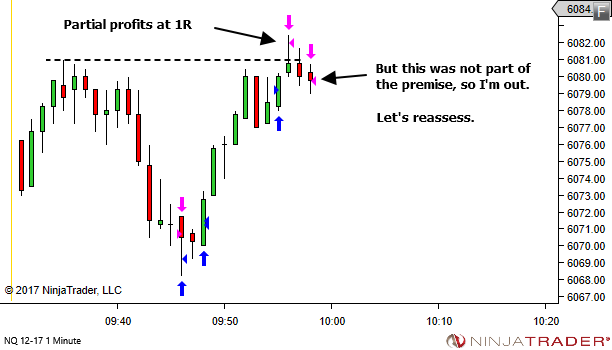 In this case, the with-trend trade is a completely valid trade in its own right. It's a with-trend trade I'd be happy to take, even had I not taken the earlier counter-trend trade. But as I said, I don't tend to do this often. It's not always easy to shift bias so quickly. There is however a closely related trade, which is a little more common. It's more of a "Stop – Pause to Reassess – Reverse". A common place for these is a key level of some kind, such as an S/R level or range boundary, where we might be assessing two potential opposite biases through either a breakout failure or breakout pullback. 1. 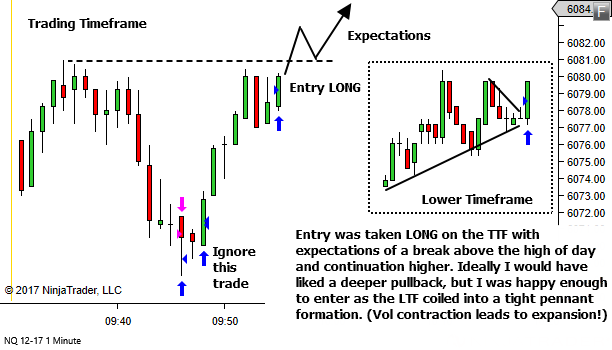 Failure of one trade does not imply potential in the opposite direction, unless the context suggests the new trade is a valid trade in its own right. 2. A stop and reverse does not need to happen at the same time. Often a better option is "Stop – Pause to Reassess – Reverse". Give yourself an opportunity to reassess the situation with a clear mind, as a result of having no exposure to the market.